Welcome to our sixth form! We are an extremely supportive team that will work hard to help you gain the qualifications, experience and skills you need for the next stage in life. The students here are active members of our school and local community and we are very proud of the sixth formers and their accomplishments, both during their time here and in their future achievements. Caludon offers a range of excellent courses for all our students, whatever their interests and abilities. We run a wide range of Advanced Level courses and an exciting combined one-year level 2/3 course, incorporating a BTEC and resit GCSEs. We are also part of the East Federation, a group of 9 secondary schools and students are able to access more courses through this Federation. 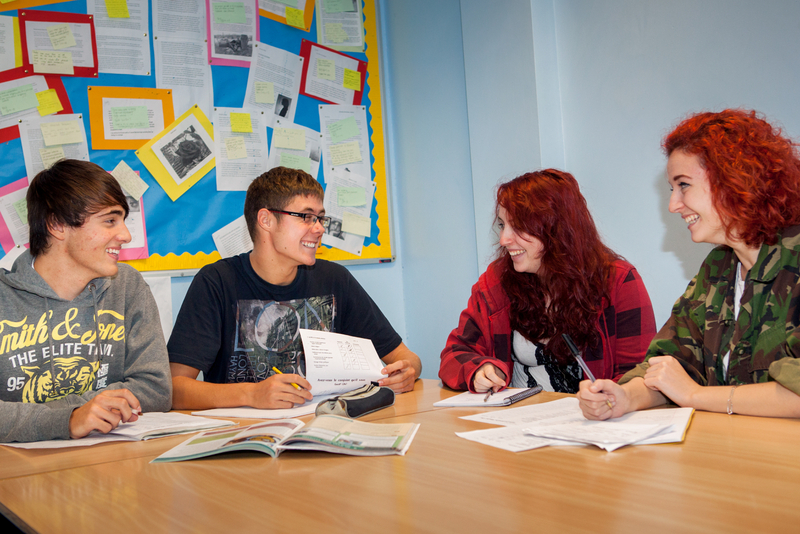 The sixth form has its own purpose built facilities within the school building. These include a large common room, designated study area with ICT facilities and access to the onsite community library. The sixth form office or “hub” sits at the heart of this and has an open door policy so that students are fully supported. We aim for your time in the sixth form to be enjoyable and for you to be well prepared for your next steps whether you come into the sixth form for one, two or three years. We do expect your wholehearted commitment to the courses that you will study; in return we promise you our utmost support and investment in you. This information is not intended to tell you everything, but it is expected that it will give you ideas and spark questions, which staff will be only too happy to answer. Caludon Castle’s large sixth form is situated in the heart of the school and provides a vibrant, exciting and stimulating place to study. There is an open door policy and students will be able to access staff support throughout the day. Indeed the office was described by Ofsted as the ‘hub’ of the centre. Expectations are high and results are extremely good. All our students have access to a wide range of courses which are personalised to suit each individual’s ability, needs and future aspirations. In addition to an extensive range of courses and enrichment activities, we offer a dedicated sixth form team who support, encourage and monitor student progress throughout the year. All we ask is a positive attitude and willingness to learn. Students say, and inspectors agreed, that the care and guidance they are offered is excellent and they are clearly proud to play a part in the caring culture of the provision. A Level Pass Rate 100% grade A*- E. 55% A* – B and 79% A* to C grades. Tremendous help and support. Excellent IT facilities. Very well qualified staff. Opportunities beyond the classroom. In order to maintain the high levels of student support, the sixth form is divided into three houses headed by Mrs Carter (Schrödinger), Mr Handy (Apple) and Miss Roberts (Rowling). Within the house there are mixed tutor groups of Year 12 and 13. As far as possible the students are placed in a house which is relevant to the subjects they are studying. The tutors and the house head are teachers in the relevant subject areas. Students have regular, individual mentoring sessions with their tutors, providing tailor made support.